DROID Charge Hits Walmart Site, Still Coming Tomorrow? 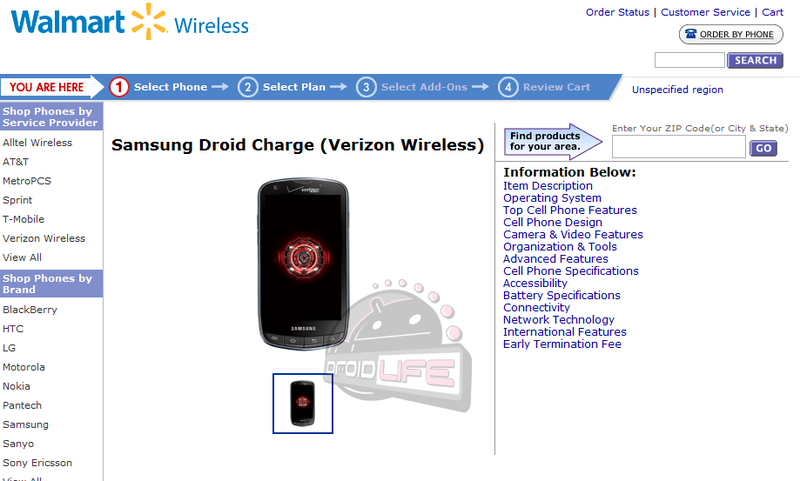 The DROID Charge has appeared over at Walmart’s cell phone shop, but when will it be released? We had word that it would be here tomorrow, although a lack of a press release still has us questioning that. No dirty secrets have been revealed on this placeholder page, so we’ll just be keeping an eye out for that word out of Verizon with hopes that it’ll be here any day. Oh, and there is that beautiful DROID red eye again. Neat.